IF EVER there was a time to visit Switzerland it is this year, although any time is a good time. Every town in every corner of Switzerland is pretty and inviting but Basel stands out right now as it will be home to three globally recognised art exhibitions throughout 2017. Basel is small, ridiculously pretty and easy to get around on foot, although a super-efficient public transport system whizzes you about if you are not fond of walking. 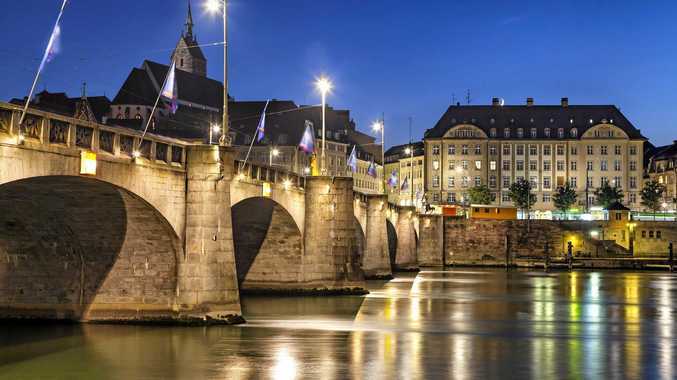 Basel's history is as fascinating as it is ancient, reaching back to medieval times. You can wander among houses that date back to 1329 where silk merchants once lived and worked. Cobbled streets take you past historic buildings and lead you to leafy (in summer) squares where there is certain to be a fountain spouting fresh, cold and drinkable water. Fountains are synonymous with Basel. On our visit we learnt much about Basel from our informative guide Margrit. Her ability to reel off facts and figures astounded us and no matter how we tried to take it all in, it was impossible. We gave in to the picturesque attractions all around us instead. We stood high on a hill and looked down on the Rhine, its banks lined with pretty historic buildings, and watched the locals swim during their lunch break, letting the swift river current take them along until they found a suitable place to get out. They put their clothes into small plastic bags and go into the water with them. A dry off at the destination, change back to work clothes, back to the office. We spent a memorable afternoon in Basel at the Fondation Beyeler, Switzerland's top modern art museum. 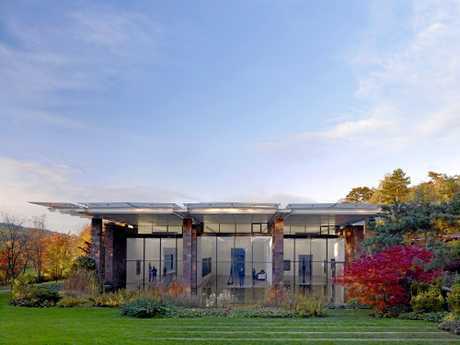 The modern square museum building was built from donations by the Beyelers, an altruistic couple who had an exceptional private art collection which they left to the city. The spacious building houses many renowned works, some of them by Monet and Picasso. Now - and this is where you benefit - the museum is celebrating its 20th anniversary with exclusive exhibitions throughout the year: Claude Monet, Wolfgang Tillmans and Paul Klee will feature. 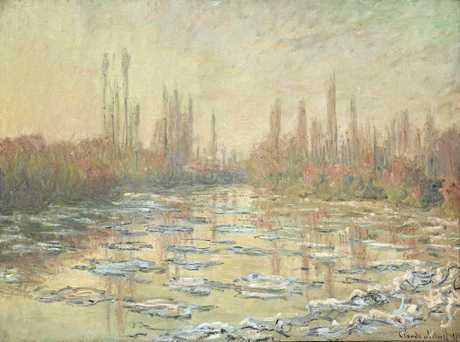 Until the end of May, 50 Monet masterpieces on loan from private collections and renowned museums will be shown. Works are on loan from the Musee d'Orsay in Paris, the Pola Museum in Japan, the Metropolitan Museum in New York and the Art Institute in Chicago. Some of Monet's most respected works will be on display in Basel. 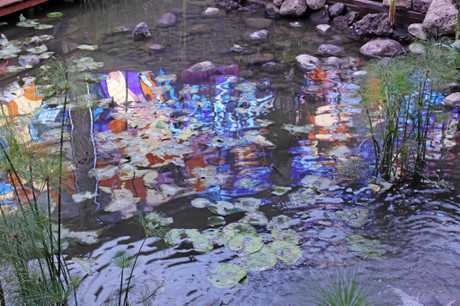 Perhaps never before have so many Monet works been brought together under one roof in a celebration of light and colour showcasing Monet's artistic development from Impressionism through to his famous late works. On display will be Mediterranean landscapes, wild Atlantic coastal scenes, stretches of the Seine, meadows of wild flowers, haystacks, water lilies, cathedrals and bridges shrouded in fog. A Monet feast. Then from May 28 through October 1, the museum will present its first comprehensive photography exhibition, a show of Wolfgang Tillmans' studio pictures which capture the attitude of a generation from the early 1900s to the present day. Tillmans is one of the most exciting artists working today. From October 1 through to the end of January next year, more than 100 pieces of Paul Klee's work dating from 1913 (including some of his rarely exhibited works) will be on display. Paul Klee was a Swiss-German artist with a highly individual style. The works, on loan from private collections in Europe and overseas, will represent Paul Klee's contribution during the time of his move away from figurativeness to the development of abstract art in Europe. Apart from these special exhibitions, three presentations of the permanent collection will give you insight to founder Ernst Beyeler and his collection ... and we can vouch for its fascination after spending an absorbing afternoon in this light-filled gallery which attracts tens of thousands of visitors each year from all over the world.